As April 15 gets nearer, one of the most popular last-minute ways to cut your tax bill is to contribute to an Individual Retirement Account. But if you really want to make the most of the growth potential that retirement accounts offer, you should consider making a double contribution this year: a last-minute one for the 2013 tax year and an additional one for 2014, which you'll claim on the tax return you file next year. That strategy can add much more to your retirement nest egg than you'd think. 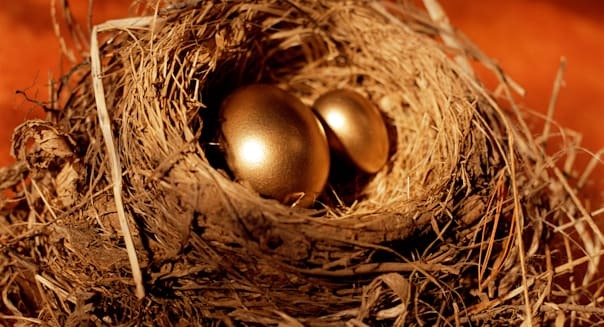 According to the Wall Street Journal, even if you assume that your IRA investments will only earn a 7 percent annual return, making a $5,500 maximum IRA contribution at the earliest possible opportunity rather than at the April 15 deadline every year for 31 years would add about $55,000 to your nest egg. That equates to roughly 10 years' worth of annual contributions just for being diligent and getting a head-start on your financial to-do list for the year. Many excuses that people make for waiting to make IRA contributions don't hold up. For instance, many people believe that they shouldn't contribute to an IRA until they know what their annual income will be, as otherwise, they might not know whether they qualify for tax deductions on traditional IRA contributions or are under the eligibility limit to contribute to a Roth IRA at all. %VIRTUAL-article-sponsoredlinks%However, tax laws anticipated this problem and gave early-bird investors a chance to correct moves that in hindsight were mistakes. If you contribute to an IRA and decide before your tax filing deadline that you want to undo the contribution, just contact your financial provider. You'll have to pay taxes on any earnings during the year, but that's similar to what would have happened if you had invested the money in a regular taxable account. More importantly, most people don't have dramatic changes in their income from year to year, and so the value of contributing to an IRA remains roughly the same year in and year out. Since you have an escape hatch if necessary in case you do have an unexpected change in income, it's better to go ahead and get that money working for you on a tax-deferred basis as soon as possible. The biggest challenge in doubling up your IRA contributions is coming up with the cash, and so you might need to make additional contributions over time rather than in a single payment. But the sooner you start catching up, the sooner you'll start reaping the returns that will help you retire richer in the future.